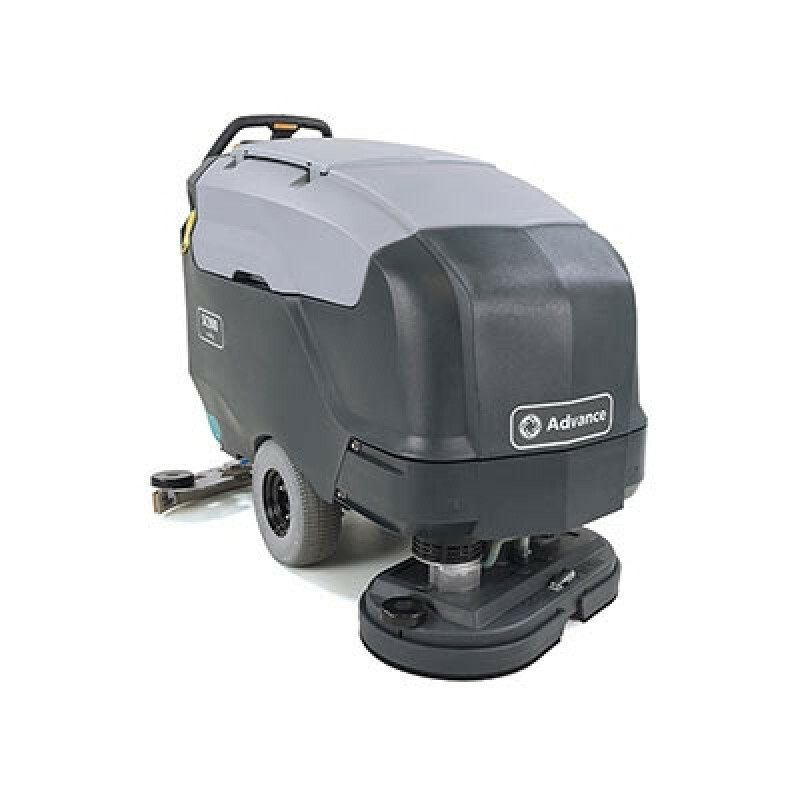 The Advance SC900 auto scrubber features a 28 inch deck with dual 14 inch pad drivers to hold a wide range of stripping and scrubbing pads. Advance has handpicked the components from top manufacturers to increase reliability and durability of this scrubber. Top of the line motors provide years of trouble-free operation and supply 3/4 HP of cleaning power to its brushes and 1 HP to the vacuum. Large 30 gallon solution and 32 gallon recovery tanks require less refills and allow for long scrubbing sessions before having to empty and refill your tanks. All this adds up to providing a machine that cleans up to 28,000 ft²/hour. 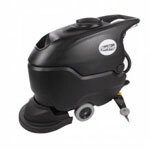 The Advance SC900 makes cleaning easy by removing complexity that many companies have added to their machines. Complicated electronics and excessive features have been removed to allow for easier operation and lower cost of maintenance. Simple mechanical deck and vacuum leavers are simple to use and have lower service costs that more expensive, alternative methods have. To make things even more straight forward, Advance has added safety yellow touch points to identify important parts and eliminating operator errors. All of these choices help eliminate operator error and confusion while enabling fast and easy user training. 80, 145 & 200 lbs.